Inspections and maintenance tasks involve enormous paperwork resulting from data gathering and compilation, analysis, corrective actions and reporting. Understanding how to react to new mobile technologies is one of the hardest tasks for organisations. Business focus needs to be shifted to accomplishing core activities with smaller budgets while reducing inefficiencies in the business environment. How can you provide more services per person, lower administrative costs and reduce expenses while at the same time deliver quality work and good customer service? This article is intended to help the reader start the process of self‐evaluation to identify the inefficiencies in their unique business environment. 1. Increasing productivity: more tasks and service calls per technician. 2. Efficiency in communicating information between the office and the technician. 3. Efficiency in planning and scheduling work based upon priorities, location, or expertise. 4. 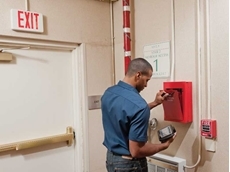 Reducing risk of hazards and implementing safety procedures on the job. 5. 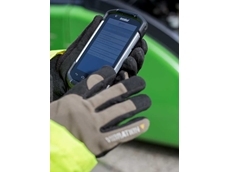 Improving management visibility for work done in the field. 6. Reducing time consuming data entry activities in the office. Field technicians and inspectors must have access to a variety of information pertaining to their tasks such as the exact location of the required task; accurate description of the problem/ task at hand; specific instructions; historical information about prior work performed on that area/asset; and safety information pertaining to the task. Every supervisor knows the impact of re‐doing work, spending unnecessary time rechecking facts, wasting time when unnecessarily waiting for a person or an event in order to perform one’s activity, or unnecessarily gathering information that should have been available in the first place. Data collection is an integral part of any field activity. While the information collected and communicated to the office is very important, using actual paper for this purpose is inefficient. A customer recently demonstrated the successful and efficient paperless data collection solution implemented at his workplace. Service/work orders are uploaded to mobile devices, the work is performed, the work orders are completed and maintenance automatically scheduled for the next event. The paperless work order system has eliminated the need for paper, along with the effort involved in filing, accessing information, and purging outdated files. While a paperless office may be impossible, using mobile devices has reduced the customer’s paper consumption by 90%. Costs of administrative tasks performed at the office can be reduced by: automating the creation and scheduling of repeat activities such as preventative maintenance, service calls, inspections, and periodic audits; eliminating the manual process of going through drawers of outdated information to schedule next month’s activities; automating the dispatch process by using electronic work orders that are integrated directly with the management system; accessing information quickly; providing timely and accurate information; and addressing customer queries quickly and efficiently. Missed opportunities resulting from lack of timely or accurate information include the inability to sell more services or equipment to customers; unnecessarily increasing costs by not utilising economies of scales; and making misinformed business decisions that are not based on available data. Can you schedule your technicians based on geographic location or expertise? Can a field technician complete more tasks in a day if they are routed more efficiently? Can you dynamically and quickly review all upcoming activities so you can improve time allocation and scheduling? Can you realistically estimate, on average, how much time your tasks actually take? How long does it take for information to reach your Accounts Receivables department? Are you wasting time, paper and postage mailing out invoices weeks after the work was completed? Most companies, upon self‐evaluation, are able to identify additional inefficiencies that can be corrected and reduced. 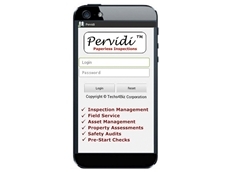 Many of the costly inefficiencies can be significantly improved by using paperless work orders and inspection systems. 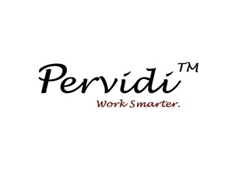 Techs4Biz Australia offers Pervidi products, which combine service management, asset management, maintenance management and inspection management functionalities to improve operational efficiencies and reduce costs.